Discussion & Activity: Read together John 12:20-33. This is a very difficult passage for us to understand. Jesus is telling his followers that he must die, but that his death will give life to others. Sometimes it is hard for us to talk about Jesus dying on the cross. Because we know that he rose from the dead, we sometimes try to skip over his death. But this was what he was willing to do for people to know of God’s love and care for all. Pass around the cross. Feel each part of the cross. Recall that the cross on which Jesus died was not a smooth, beautiful object like the ones we wear today. Think about the pain that was part of Jesus’ cross. Ask each person in the family to say how it makes them feel to talk about Jesus dying on the cross. Remind one another that we use the sign of the cross to remember Jesus even today. 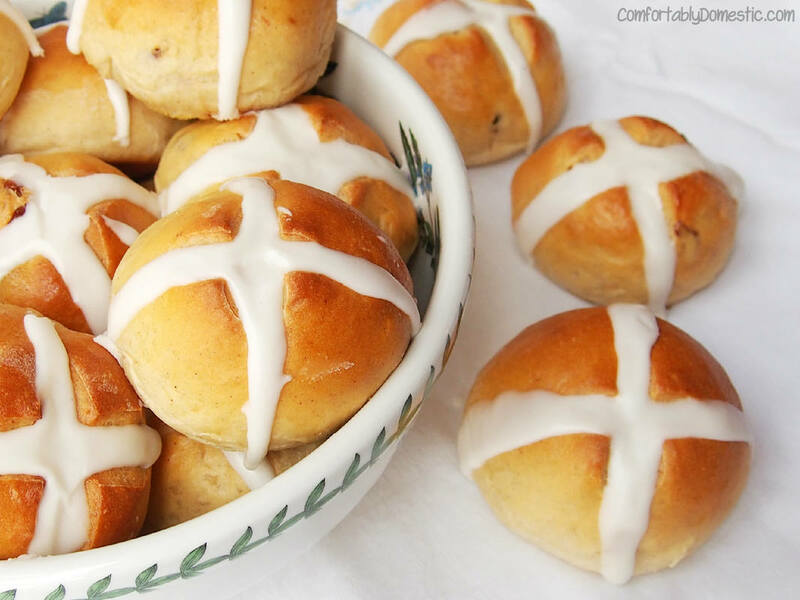 A food that is part of the Lenten season is Hot Cross Buns. You can bake these using prepared cinnamon roll dough or bread dough. Add a cross of white sugar frosting to the tops of the rolls. Eat these as a reminder that Jesus died so that all might know God. Click here for an easy recipe too. Take time for family members to say how they are doing with what they have added to and given up in their life. Prayer: O God: It is hard to think of Jesus, whom we love so much, being put to death on the cross. And yet, when we look at the cross, we are reminded that he did this as a gift so that we might be forgiven of our sins. Thank you for the gift of your son Jesus. Amen.